Green Lantern: Chris Pine & Tyrese to Be Announced Soon? It's unclear if Tyrese Gibson is just messing with people's minds, or if he knows something the rest of us don't. 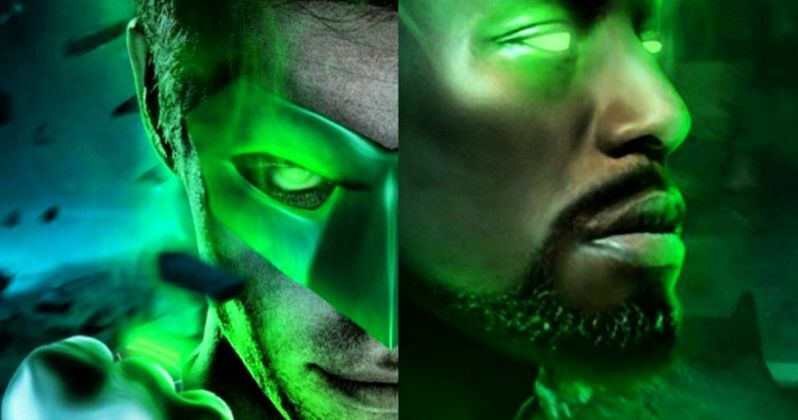 He has shared on Instagram a new piece of fan art that depicts himself as Green Lantern, John Stewart, and next to him is Chris Pine as Hal Jordan. This, of course, feeds into the swirl of recent rumors on the Internet in regards to DC Comics planned reboot. Will both actors be announced soon? Is this part of DC and Warner Bros. plans for Comic-Con 2015? The Green Lantern (Reboot) rumors have been two fold as of late. Earlier in the week it was reported that this new take on the popular DC comic book won't just revolve around a single Green Lantern. In an attempt to distance itself from the 2011 bomb, it will go in a different direction and bring in both Hal Jordan and John Stewart. Not only that, the movie also plans to utilize a third human Green Lantern by introducing Guy Gardner to the big screen. The story is said to be about the Green Lantern Corps, and their place in the DC Cinematic Universe. One or more of the 'human' Lanterns will first be introduced in Justice League Part 1 or Justice League Part 2, as they come to warn earth about a threat from deep space. But who will be part of Justice League? Tyrese Gibson or Chris Pine? This leads into the second part of these recent rumors. In March, it began to spread that Chris Pine is taking over the role of Hal Jordan from Ryan Reynolds, with no John Stewart ever mentioned for this upcoming reboot. Later that month, it was revealed that the actor was actually playing Steve Trevor, Wonder Woman's boyfriend. But then, this week, all the talk went back to Chris Pine being Hal Jordan. However you want to slice it, it seems the Star Trek star is involved with the DC Universe somehow. Does this latest tease from Tyrese Gibson give everything away? Or is he just drumming up more publicity for himself by utilizing everything that has been rumored this past week? We may not know until Comic Con. Until then, enjoy Tyrese's fun with photoshop.